Official launching of the Australian Saudi Business Council. 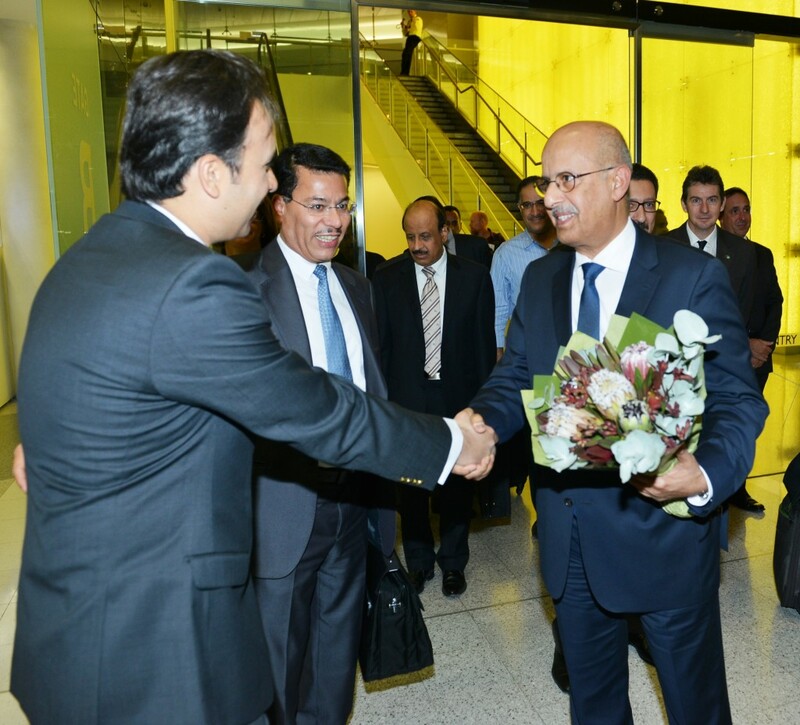 Dr. Fahd Balghunaim welcomed at Canberra airport. 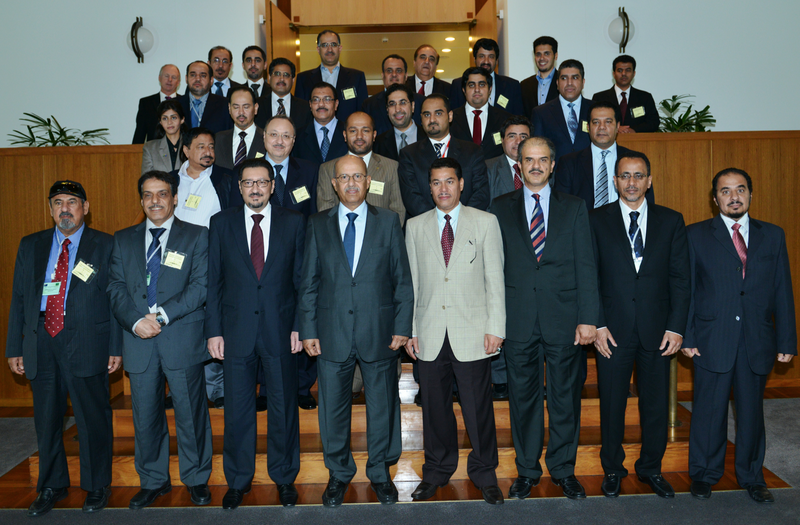 The Saudi Delegation arrives to the Parliament House Canberra, Australia. The Saudi Delegation at Parliament House, Canberra. Minister Balghunaim with Hon John Cobb MP, Dr. Abdulaziz bin Saleh bin Salama and Mr. Reda Al Nuzha. 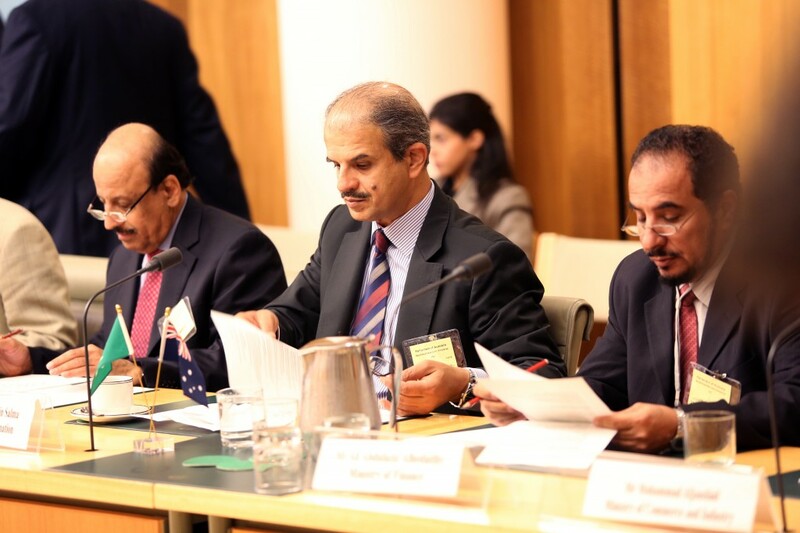 Minister Balghunaim and Dr. Abdulaziz bin Saleh bin Salama discussing with Shadow Minister Hon John Cobb MP. The Saudi and Australian delegation during the official meeting. Dr. Abdulaziz bin Saleh bin Salama and Eng. Jaber Bin Mohammed Al-Shihri during the official talk. Hon. 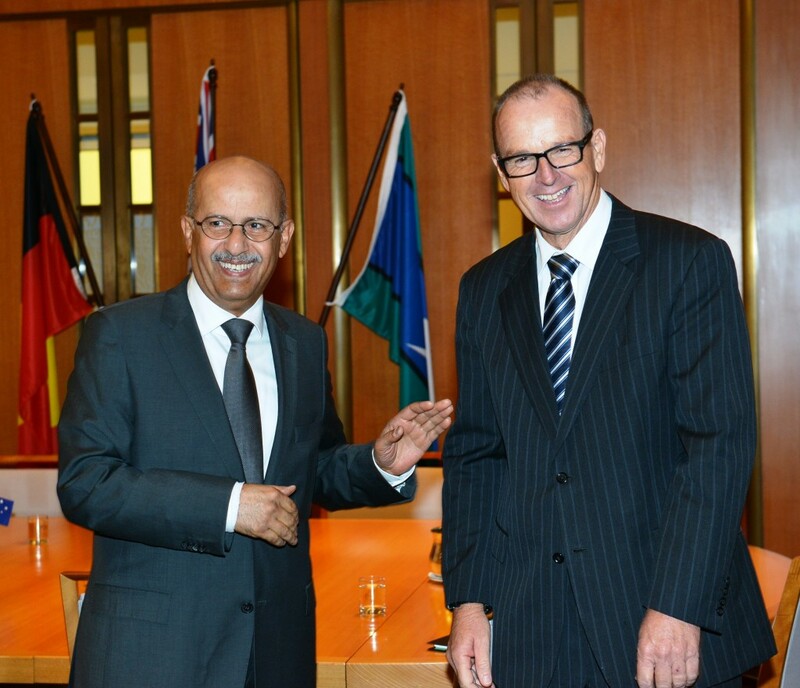 Joe Ludwig, Australian Minister for Agriculture with Dr. Fahd Balghunaim. 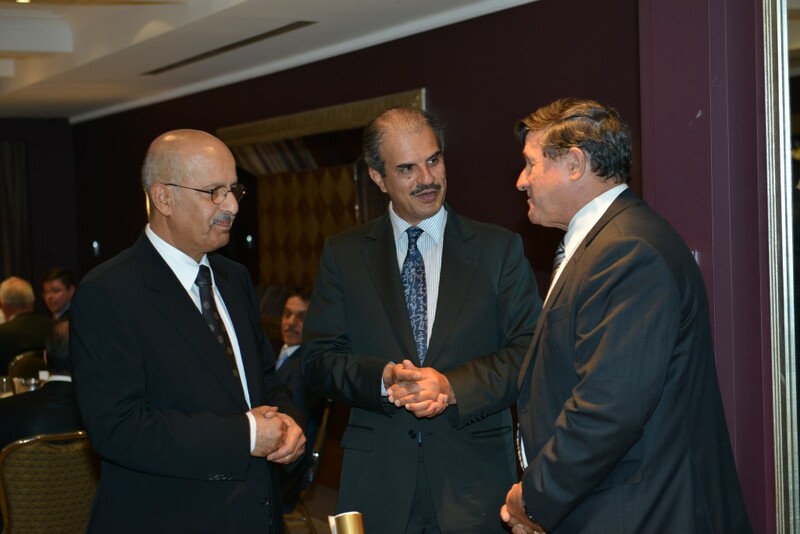 Ambassador of Australia in Saudi Arabia Mr Neil Hawkins with Dr. Walid Al-Khuraiji and Mr. Reda Al Nuzha. Minister Balghunaim with Australian Minister of Trade, Hon. Dr. Craig Emmerson. 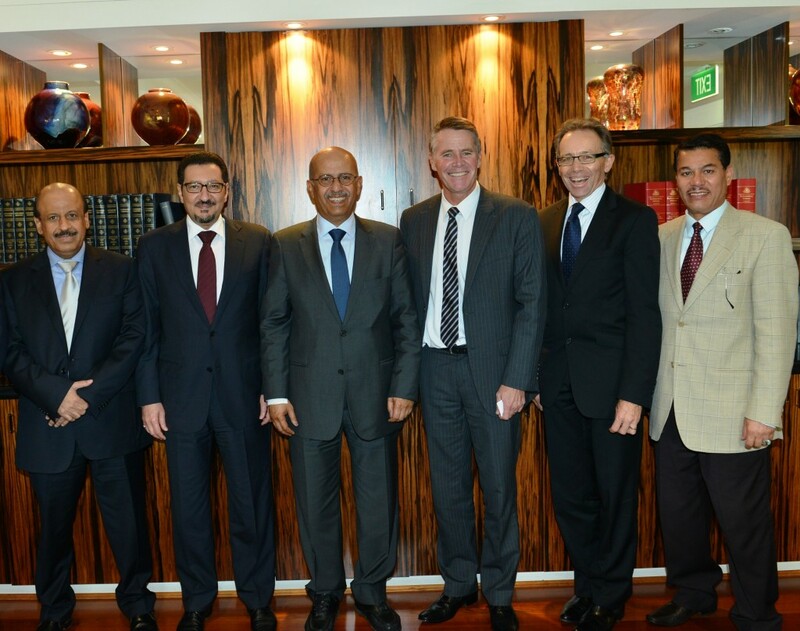 NSW Deputy Premier with Minister Balghunaim and the delegation. 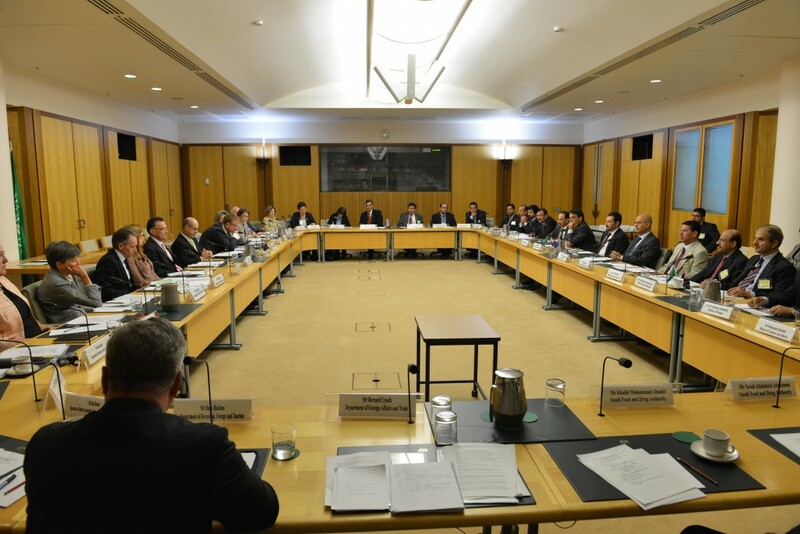 The ninth meeting of the Saudi Arabia-Australia Joint Ministerial Commission (JMC) was held in Canberra on the 22nd of March 2013 [10 Jumada Al-Ula 1434H]. The Commission was co-chaired by the Saudi Minister for Agriculture, His Excellency Dr Fahd Abdurahman Balghunaim and the Australian Minister for Trade and Competitiveness, Dr Craig Emerson. Dr Balghunaim also held discussions with his Australian counterpart, Senator Joe Ludwig, on agriculture issues on the 21st of March. The Saudi delegation headed by Minister of Agriculture Dr. Fahd Balghunaim arrived Perth Airport in Western Australia was received by Saudi Charge D’affaires to Australia and New Zealand Reda bin Abdulmohsen Al-Nuzha. The Kingdom’s delegation includes Director General of Grain Silos and Flour Mills Organization Eng. Walid Al-Khuraiji, Undersecretary of Ministry of Culture and Information for Foreign Information Dr. Abdulaziz bin Saleh bin Salama, The Undersecretary of the Ministry of Agriculture for Fisheries Affairs Eng. Jaber Bin Mohammed Al-Shihri, Undersecretary Assistants of the Ministry of Agriculture for livestock affairs Dr Khaled Bin Mohammed Alfheed and a number of representatives of the ministries, governmental institutions, and businessmen. Ministers highlighted the importance of the private sector to expansion of the economic relationship. 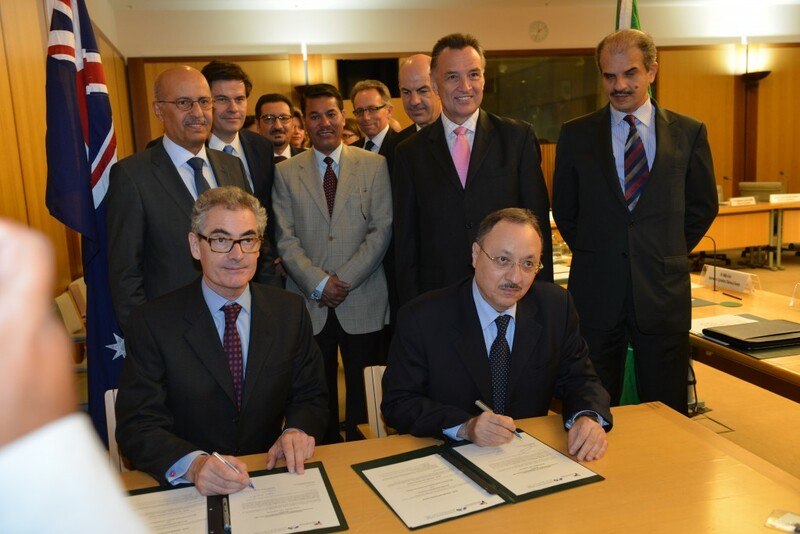 They welcomed the signing at the JMC meeting of a Memorandum of Understanding between the Australia-Saudi Business Council and the Council of Saudi Chambers establishing the Saudi-Australia Joint Business Council. Ministers noted also the opportunity presented by the JMC for business-to-business engagement. 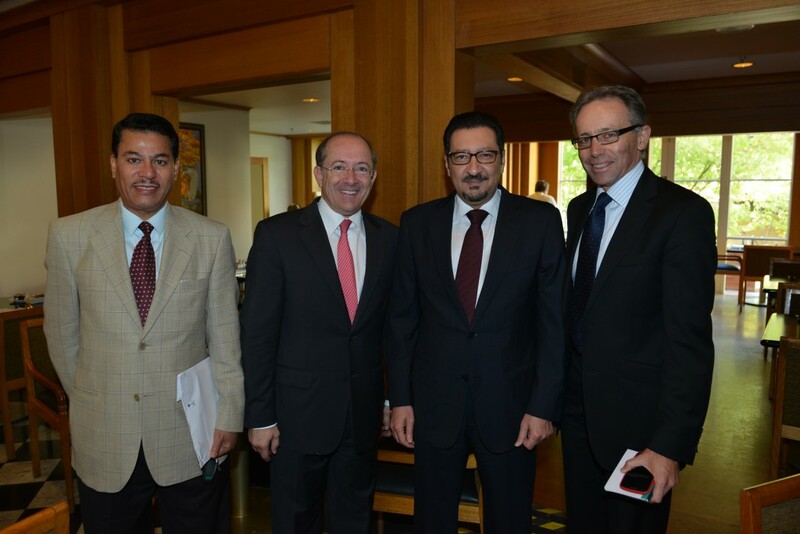 The JMC meeting was supported by four officials-level working group meetings held on 21 March and covering: trade and investment; agriculture and food security; education and training; and energy and resources.